Holiday shopping can be rough, especially if you care about responsibly sourced goods and supporting your local economy. Have no fear! 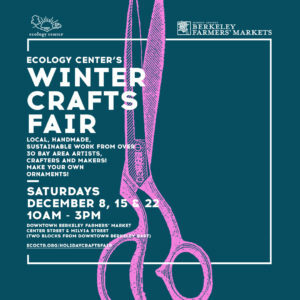 Shop local this year at the Ecology Center’s 26th Annual Winter Craft Fair and find sustainably made, hand-crafted, and beautiful gifts from Bay Area artisans. 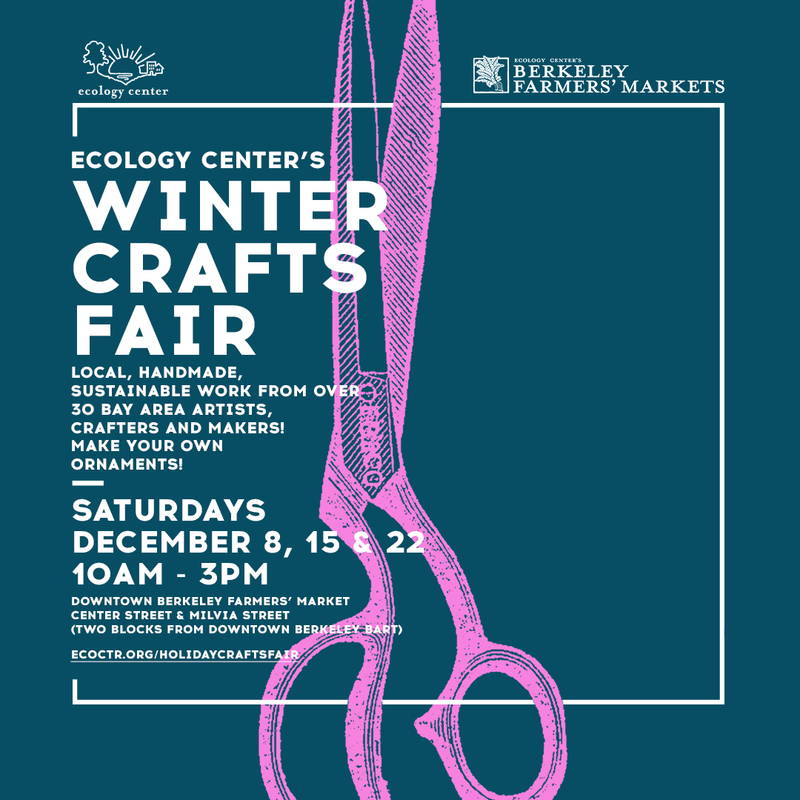 For three Saturdays in December, Downtown Berkeley Farmers’ Market welcomes local artists, artisans, and crafters that are committed to using sustainable practices. Find upcycled messenger bags, gorgeous wooden bowls from sustainably harvested wood, nontoxic jewelry, wildcrafted and natural body products. Peruse gifts while getting your grocery shopping done at the Farmers’ Market and good music. Remember to bring your reusable shopping bag. Or find a handmade one there! INTERESTED IN VENDING @ THE CRAFTS FAIR?